The purpose of this document is to establish design and installation practices for copper conductors that not only adhere to the NEC, but also supplement and expand it to make such systems efficient, convenient, serviceable, and expandable, in addition to being safe. It addresses such concerns as temperature effects on wiring systems, voltage drop, conductors for grounding, future electrical capacity, electrical energy efficiency, and good installation practices. The scope is limited to “building wire”. Conductors such as bus-duct conductors are not included. This document is not intended to be a comprehensive design manual. The ampacity of building wire type conductors is limited by the temperature rating of the conductor insulation. This publication recommends methods of calculating the ampacity of conductors, taking into consideration ambient temperature, the number of current-carrying conductors in a raceway or cable(s), bundling of conductors or cables and exposure to sunlight, in compliance with the NEC. The NEC recommends, but does not require, maximum voltage drops for general use feeder and branch circuit conductors. This publication expands those recommendations, addressing conductor sizing, supply voltage, circuit loading, and the power quality needs of sensitive electronic equipment. The grounding of conductive, but not normally current-carrying, components of an electrical system is vital to the safe and effective performance of the system. An adequate system will safely carry fault currents from the failure point to the earth and allow overcurrent protective devices to operate. The NEC covers grounding from a safety standpoint, but not necessarily adequately for power quality. 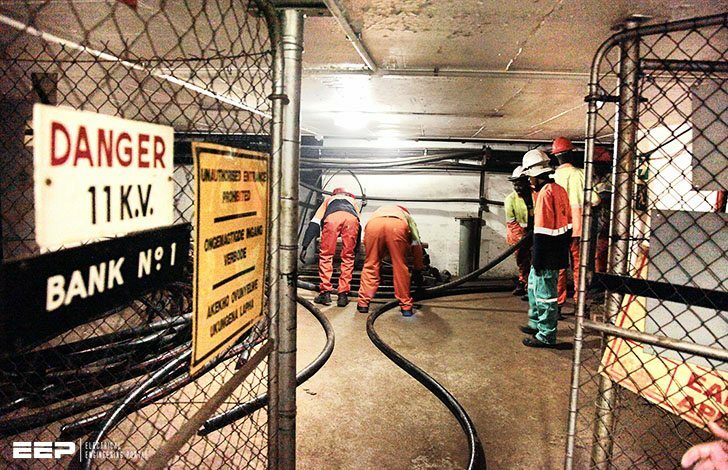 This document expands on the NEC requirements for grounding and recommends design and installation practices that address equipment operation and power quality. 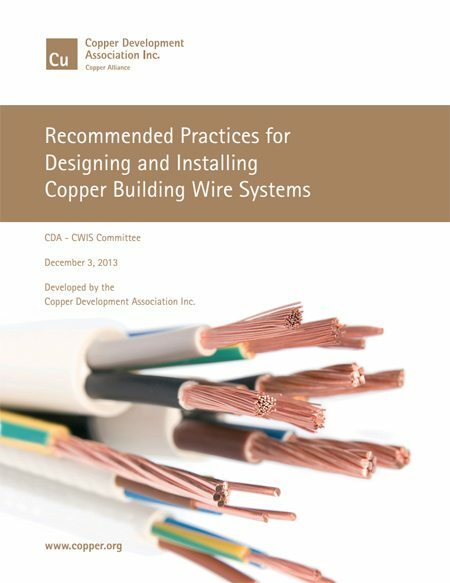 Title: Recommended Practices for Designing and Installing Copper Building Wire Systems – Copper Development Association Inc.